If you're visiting a magic kingdom, you'll want an enchanting journey and with Eurostar your Disney adventure begins before you've even arrived at the Park gates! Imagine a land where the wonderful world of Disney® comes alive. 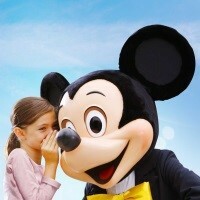 Our super 4 day tour via Eurostar is based on-site at a Disney Themed Hotel.